Diesel particulate matter emissions are down 88 percent at the Port of Long Beach, even while cargo records have jumped to record levels. 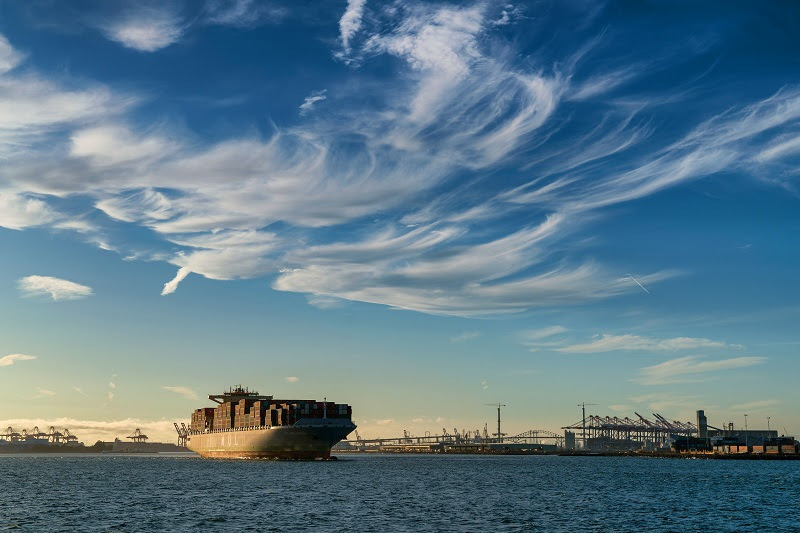 The Port of Long Beach is continuing to outperform 2023 clean air goals for diesel particles and sulfur oxides, even while cargo volumes have jumped to record levels, according to a comprehensive study of Port-related air pollution emissions. The 2017 annual “emissions inventory” found the Port’s aggressive actions to curb pollution have cut diesel particulates by 88 percent, sulfur oxides by 97 percent and nitrogen oxides by 56 percent since 2005, the baseline year which emissions are measured against. The Port maintained lower levels of emissions even though container traffic rose 11 percent in 2017. The Clean Air Action Plan set 2023 reduction targets for diesel particulates at 77 percent, sulfur oxides at 93 percent and nitrogen oxides at 59 percent. Greenhouse gases, which were not targeted for reduction in the original Clean Air Action Plan, were nevertheless curtailed by 18 percent in 2017 compared to 2005. However, the reduction is less than the 22 percent the previous year. Port officials attributed the change to increased cargo volumes and ship visits; however, the amount of greenhouse gas emissions per twenty-foot equivalent unit moved is down, as demonstrated by efficiency measurements in the emissions inventory. The Port of Long Beach’s efforts to improve air quality have included the Clean Trucks Program, the adoption of shore power for container ships and the Port’s Green Flag Vessel Speed Reduction Program. Additionally, the Port’s future Pier B On-Dock Rail Facility will be the centerpiece of a program to increase the use of on-dock rail for greener operations. Learn more about the Port’s environmental programs here. The annual emissions inventory is conducted by an independent consultant. It is reviewed by the U.S. Environmental Protection Agency, California Air Resources Board and the South Coast Air Quality Management District.